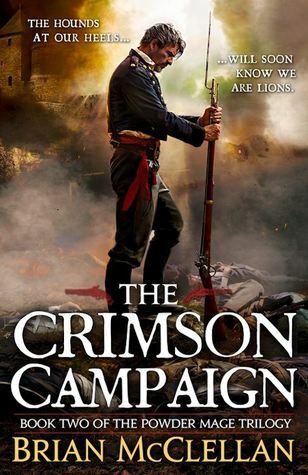 This Review will be both for The Autumn Republic, and The Powder Mage series as a whole. 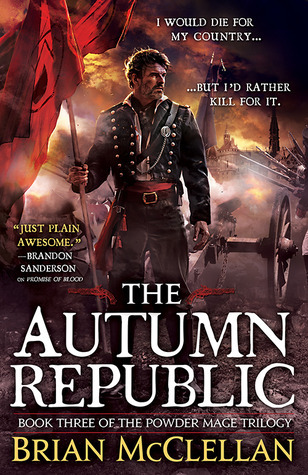 The Autumn Republic is the final installment of the Powder Mage trilogy by Brian McClellan, a military fantasy that primarily follows the stories of three main protagonists; Tamas, Taniel, and Adamat. Tamas is the General of an army that just murdered his king in a coup. Taniel is Tamas’s son, and the leading powder mage in the army. Adamat is a detective trying to protect his family in the chaos of the coup and really just trying to figure out what is even happening around him. 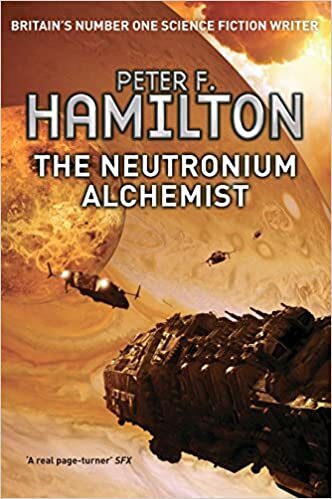 The story is well written, exciting, well paced, and has great character development and world building like all great books. However, The Powder Mage is unique and interesting in how it goes about telling its story. To begin there is the unconventional plot. If I had to describe the plot of The Powder Mage in one sentence, I think it would best be described as ‘putting out a series of increasingly complex fires’. In most stories, you are given an introduction of the cast, told where they stand now (point A), and told where they want to go (point B). The book then proceeds to tell you how that journey is completed or failed. In Promise of Blood, we achieve point B in the first 20 pages. 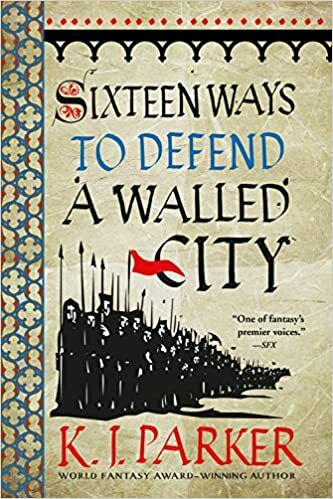 Tamas is tired of his country being under the oppressive thumb of an all powerful king, and organizes a coup to kill the king and save the country. The rest of the series is the characters trying to understand the deep ramifications of what they have done and handle the fallout. Tamas is trying to keep the country from burning to the ground on a high level while Taniel and Adamat investigate where all the fires are coming from. At first events seem random and confusing, but Brian slowly weaves everything into a beautiful tapestry that displays an incredibly cohesive and well planned story. Pushing that story forward is a group of phenomenal characters that put me in the shoes of people I rarely get to experience. Taniel and Adamat are both interesting, but I want to draw special attention to Tamas. Tamas is one of the few characters I have ever read about that gave me a really unique look at the world as both a father and general. From his perspective I found myself caring for other characters like my children and the fatherly-feel of his tale stuck with me well after I put down the final book. It is also rare for me to read a military book that both paints the military in a good light and does not feel like it was written for readers who were in services. These books are the most immersive I have ever read when it comes to military fiction due to how accessible Tamas and Taniel made it for me. Then there is the scope. The Powder Mage takes place in a continent with 9 nations, each with their own distinct flavor, history, and story. This story primarily follows the country of Adro, and by The Autumn Republic we have only learned and interacted with about 4 of the other countries in the continent. Despite this, the story is so packed with rich history and culture I did not feel like I was shorted with only the small portion I got to see of Brian’s world. I am usually against additional series in the same worlds (as I feel they often have trouble being fresh and new) but I would happily sign up for several more stories in this place. The Autumn Republic does an incredible job expanding the horizons of the previous two books. However, one of my few complaints about the book is I felt Brian could have kept going even further in The Autumn Republic. I wanted the story to keep going and for there to be more books, if only to learn more about the privileged. If you are unfamiliar with the books, you might be wondering what powder mages and privileged actually are. The powder mages of Brian’s world are men and women who have a myriad of powers that stem from the use of gunpowder and work primarily for the military. They can control the flight of bullets, detonate powder and control the blast, and even imbibe powder to enhance their physical strength and senses. On the other hand, privileged are elemental mages (Fire, Ice, Earth, etc.) that are mostly tasked with the protection of the kings of each country. These are only two of the schools of magic that Brian introduces in his books, and there are many more. By The Autumn Republic many of these magics are explored and explained to make an world in which there are any number of ways to be a complete and total badass. Speaking of which there is the combat. The combat in these books, in particular The Autumn Republic, is some of the best I have read. Taniel’s nickname is Taniel Two-Shot for his penchant for firing a double loaded musket with horrifying results. Avoiding spoilers, but some of the final fights had me gripping the edge of my seat. In terms of The Autumn Republic specifically, the book brings the story to a very satisfying end with only a few loose ends. There are a few characters who I would have liked to have more time with and learn a little more about before this story came to an end. However, there is certainly room in the plethora of wonderful novellas that Brian puts out to give their stories the final boosts that I am looking for. 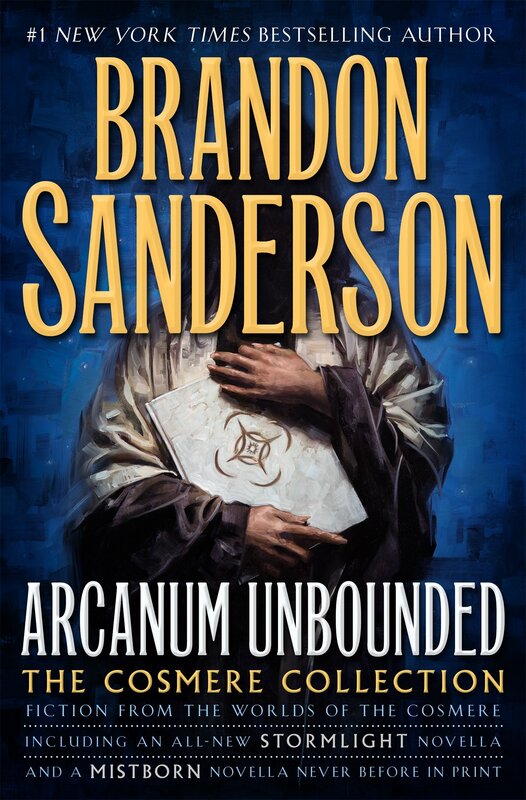 If you have been to my recommendations page, you might have seen I listed The Powder Mage as one of my all time highest ‘must reads’, even when there were only 2 books out. The final installment of the trilogy has succeeded in cementing the series in that list and has made me a lifelong fan of Brian’s work. 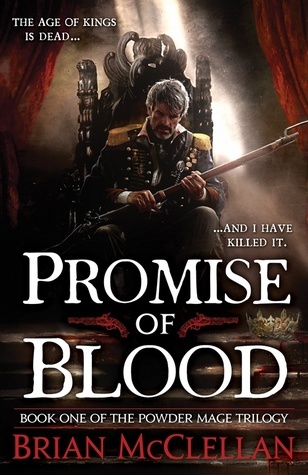 If you are looking for a one of a kind reading experience, I hope my words have convinced you to go pick up Promise of Blood for the first time or to grab The Autumn Republic and finish this great story. I love a story where everything seems unrelated and random and is slowly revealed to be part of a grander tale. So I can’t wait to dive into this series.